in a very sweet way. 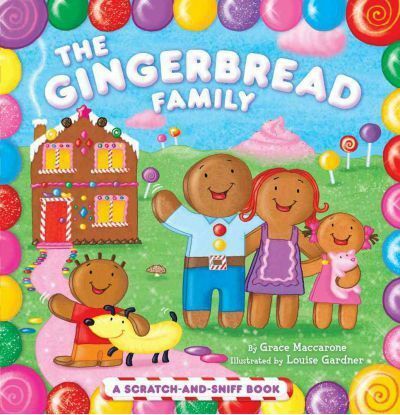 Under cotton candy clouds a gingerbread family lives in a sugary world filled with delectably sweet images and scents. This scratch and sniff book features clear stickers that smell like gingerbread, lemon drops, chocolate, peppermint, and more!